888 Casino - Register at 888.com Today and Play for Free! 888 casino is a brand that is well recognized amongst poker players. Firstly, because they sponsored the New Jersey winner of the 2017 WSOP, S. Blumstein. And secondly, because they have a very good poker network that allows NJ players to join a game with people in Delaware and Nevada. Granted that 888 is primarily known for its poker product, they also offer casino games in their lobby. In fact, many casino players don’t know that 888 casino has just over 75 games in its lobby. 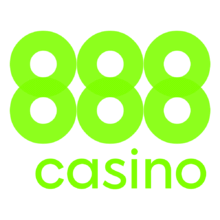 There are probably other things you ignore about 888 casino, so keep on reading before signing up to learn everything this casino has to offer. You wouldn’t want to miss out on a bonus, would you? 888 website is divided into 2 products. The first one is the casino and the second one is the poker. The casino section offers progressive jackpot games, video poker, slot, roulette, and blackjack. 888 mainly distributes games from WMS and IGT. A great thing about 888 casino is that all games offered on their site respect the fairness standard. Indeed the New Jersey Casino Control Commission and the New Jersey Division of Gaming Enforcement regularly audit their games to ensure their true randomness. So you can trust that the payout is accurate. The poker product is second to none! It offers customizable options where players can not only choose their avatar but also favorite game types and limits. So 888 is not only awesome for slots but for hold’em too! Not only this, because this casino has 2 products players can expect a lot more in their welcome package. 888’s welcome package gives players the true online experience. Indeed, players who sign-up today can claim $20 worth of goodies. $10 free play on selected casino games. $4 worth of bonus to play on 888poker and/or 888casino. 6 Poker Tournament Tickets worth $1 each. The great thing about this bonus is that you only need to sign-up to get it. And if you choose to deposit you can claim even more bonuses. That’s right! If you intend to become a regular at 888 there are two 50% bonuses you can claim. The first bonus will give you up to $500 extra and the second bonus up to $1000 extra. Both bonuses have wagering requirements attached to them. You can find out more about the wagering requirements of the bonuses in the ts and cs of the promos. Like most online casinos, 888 offers a loyalty program to its players. The unique thing about the loyalty program is that players can buy tournament tickets and get cash back bonuses. 888’s loyalty program works with points. Players can accumulate 1 points with every $16 wagered in Casino. Players will receive $1 worth of goodies with every 100 points. You can check out the amount of points you’ve accumulated in a session by clicking on “MY ACCOUNT” then on “STATUS POINTS”. If you have any points to redeem the popup will invite you to convert them into cash instantly. So, its always worth having a look under “MY ACCOUNT” if you’re low on funds. Who knows, there might be free money waiting for you there. 888 has won many awards for the quality of its support in Europe. They pride themselves in offering support in a wide variety of languages. So, if you’re a new NJ resident who speaks another language chances are you can get support in your mother tongue. 888 is available 24/7. The live chat widget is accessible in the lobby for logged in members and the phone lines and email are available to both members and non-members. So if you’re having problems signing up help is only a phone call away. If you don’t have access to a phone, make sure to read their FAQ section. They cover many subjects and chances are you’ll find an answer there. We think 888 is a very good casino for new players. We especially like the fact that players can play slot and poker with their sign-up bonus. Why wait, claim it today and see if you’re more a slot lover or a poker player.